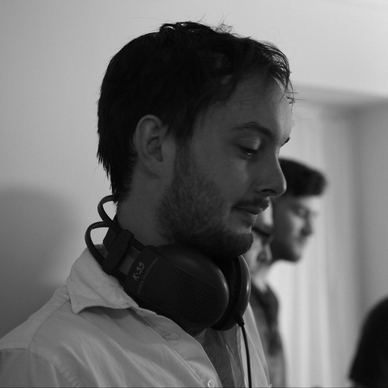 London-based artist Edwin Mingard works principally with moving image, making standalone artists’ film and installations. He often takes on mainstream and accessible forms – documentary, music video, glossy magazine in order to engage with wide public rather than just art people and the gallery environment. The intertwining strands of technological and social change are central to Mingard’s works, and of particular interest is the combined rise of computer processing power and the network. His works have been commissioned by the BFI, RSA, Northern Film+Media, the Wellcome Trust, Film London and many other bodies, including academic institutions, public and independent arts organisations and festivals. 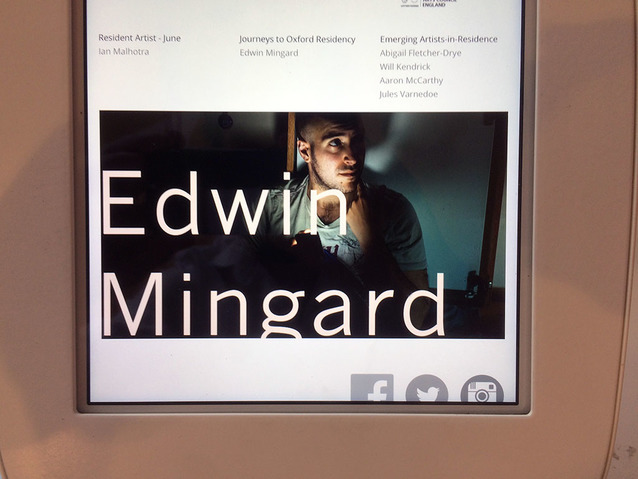 Overnight by Edwin Mingard is a specially created archive and a short artists' moving image work in conjunction with the Journeys to Oxford exhibition at the Museum of Oxford. 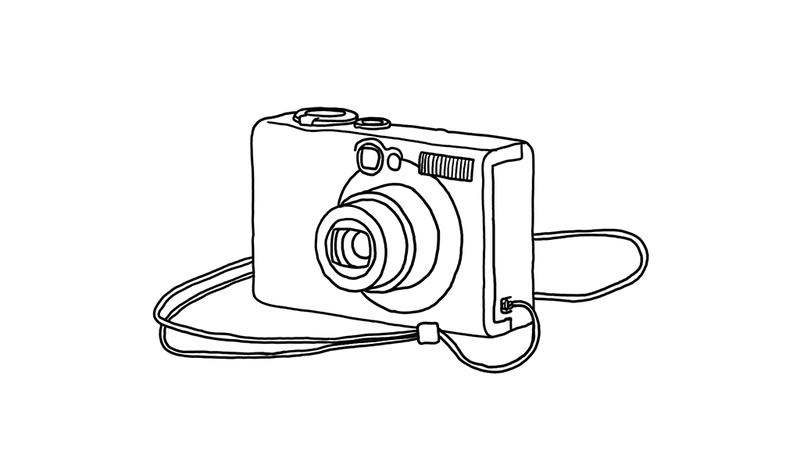 From June to August the artist will be working to develop the digital piece, the process of which will be documented below and the finished work displayed at Museum of Oxford in September. 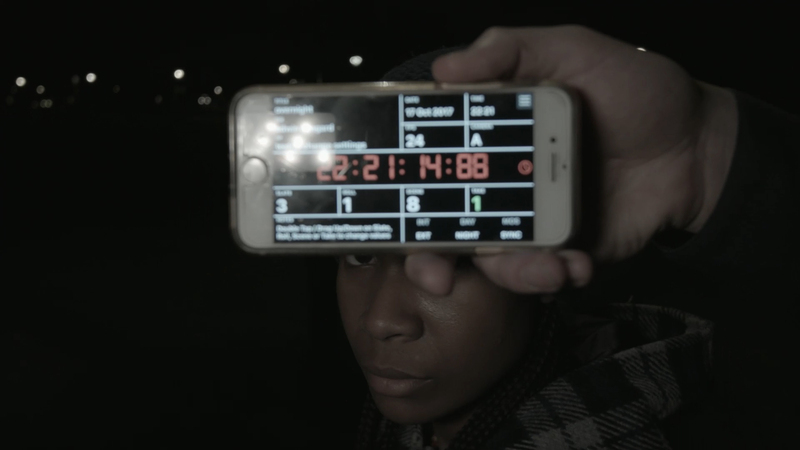 The artist will interview communities of recent migrants to Oxford and create a online archive with a film work that responds to that archive. This piece of work builds upon previous experience using print or moving image to collaboratively explore the experience of migrating. We finished filming! 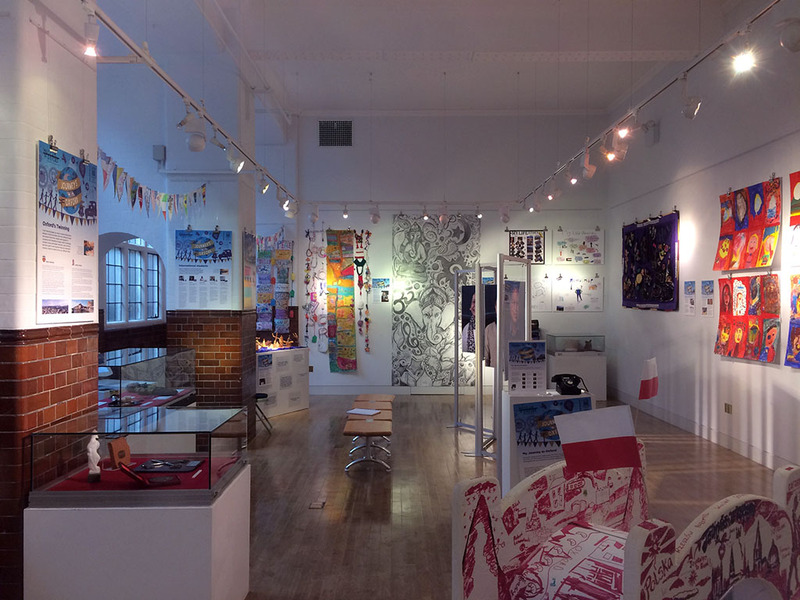 A lot has happened over the past few weeks, and I'll be posting updates here about it whilst the exhibition is on. The research and filmmaking process has been intense at times, but incredibly rewarding. I owe a huge debt to the many people living in Oxford and beyond who've been part of the process so far, and will be writing about their involvement too. Over the past month I've been meeting up with people who have recently moved to Oxford, and talking to them about their experiences. It's been quite an intense experience, for participants and me alike I think, although a really valuable and enjoyable one. There's something about a major life change, like moving city or country or continent. The people I've talked to have come from all kinds of different backgrounds: different countries, family structures, economic circumstances. I couldn't help noticing that they've all shared some really wonderful personal qualities. I wondered whether people with these qualities are more likely to take part in an art project. Most people I've talked to told me they'd never taken part in something like this before though, and it was often me who approached (and persuaded) them to speak, not the other way around. It makes sense, then, to assume these qualities have more to do with moving – it's pretty much the only thing that unites an otherwise diverse group of people. If that's right, then I wonder how much these qualities are the result of such a big life change, or whether people with those qualities are simply more likely to do well after a big life change, and be in the position to tell a stranger about their experience. Taking part has a few costs: a bit of free time, perhaps a risk in talking to someone you don't know about something personal. I've noticed that people who've talked to me have all seemed naturally curious, and supportive of people doing new things (including me). Moving countries usually means a loss of social capital, often a loss of income, and you might imagine people would therefore be less likely to take part in something that wouldn't directly benefit them. But the people I've spoken to have typically gone out of their way to contribute to the people and places around them, for no direct personal benefit. Family has been hugely important to everyone, which is interesting when you consider that for most participants, families typically live a long way away. Some participants have not seen family members since leaving their home country, and do not feel that they will again. A general attitude to bad luck that people often describe as 'philosophical'. I've been genuinely shocked at some of the off-the-cuff comments about life-altering events, and how well people have coped with them. One participant told me about a relationship ending and moving country for a fresh start. Another told me about being on the wrong end of government corruption. Another crossed the Mediterranean as a child on an overcrowded boat full of strangers. Another moved for a partner they loved. Another can't return home because their city has been bombed. I do not personally know how I would cope with many of those things, and feel respect for anyone who has. An ambivalence between a warm openness and a nervousness that has always been caused by external pressures. People have been so keen to tell their stories but also anxious about repercussions from authority. Sometimes that authority has been a government in a homeland; sometimes it's someone's boss in the next room, who doesn't want our talk to run over into work time. It's hard to express, but it's a feeling that someone is really going out of their way, in the face of a risk, and that trying to do good things in the cracks between larger authorities is a real part of the migrant experience. I'll stop there. I don't want to make the people I've talked to seem like one uniform group – they very much aren't. But the above similarities interested me because they really were apparent, and it seemed like something important to share. Last week I met up with Levin Haegele, production specialist at Space Studios, to discuss the physical shape of my exhibition. Levin is really great at switching between the creative and practical aspects of any project in a way that allows each to inform the other. The exhibition as currently planned has two main elements: a moving image work, and an archive of sound recordings. I want the sound recordings to be easy to access, so that audience members can move seamlessly between them without having to push buttons, put headphones on or move around too much. I'd imagined hanging speakers, playing at a low volume, so that visitors could wander between them and listen closely whenever something particularly caught their attention. Levin suggested all kinds of practical shapes they could take, back-end hardware that could make it all work, and we discussed the possible creative implications of different options. One thing I'm particularly thinking about is whether the physical object should tell you something about the person whose voice is being broadcast. On the one hand, there's an argument for all of the audio devices being uniform, so that they don't detract from the voices themselves, which appear different simply because they are. On the other, there's the possibility of telling visitors something about who they'll hear before they approach. 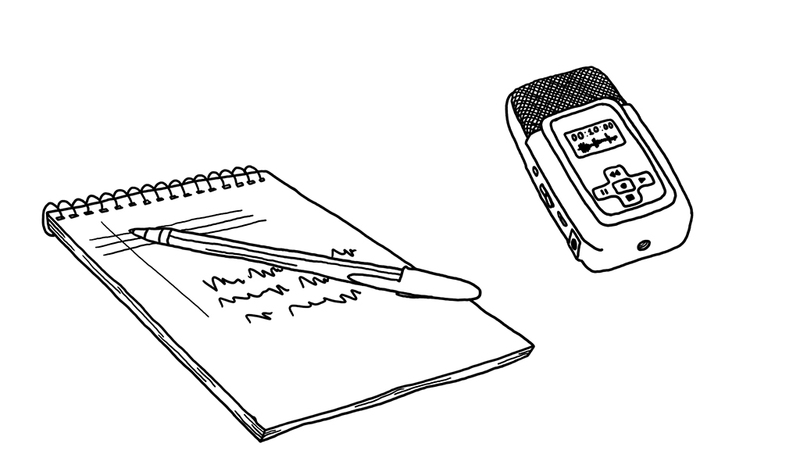 Seeing everyday objects with someone else's voice coming from them might provoke empathy, making visitors more likely to listen to what the person is saying. It might also emphasise the uniqueness of each person. I don't yet have a settled view and will be thinking about it a lot, as well as doing a few tests, over the next fortnight. I've been spending a bit of time recently thinking about the different ways migration is shown on screen. I plan for the central part of my exhibition/installation to be an artists' film, probably quite short in length, and based upon the experience of arriving in the UK. As well as talking to people about their personal experiences, it feels important to watch how migration is typically represented on screen, both by artists and film makers who migrated themselves and those who didn't. 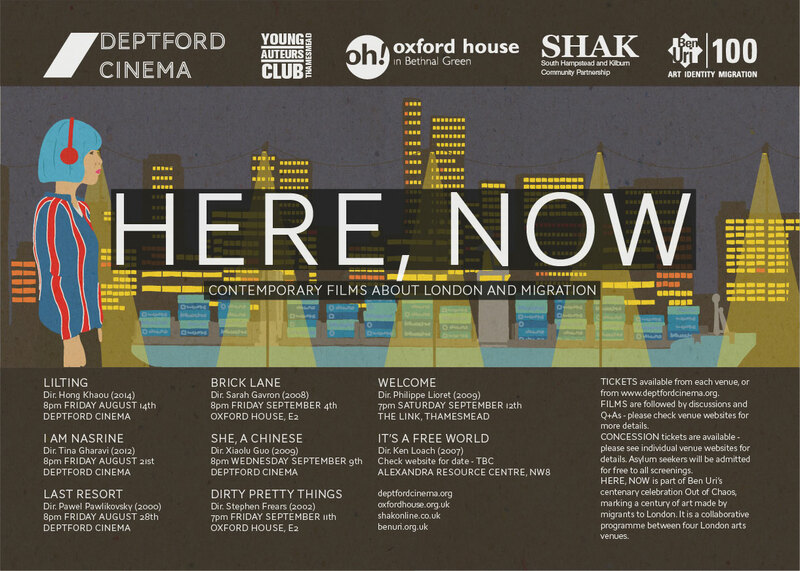 A couple of years ago, in the midst of the mediterranean refugee crisis, I programmed a series of films about the experiences of people arriving in London. I went back to look at the programme recently, to think about what might be portrayed differently if somebody was arriving in a smaller city or town. What I'd aimed for in the initial programme was to have a broad mix of accessible feature films, unified by a theme - arriving in London - and where one or two might be known to the potential audience but most would not. More important than that though, was to show various different, sensitive portrayals of migration, where characters were from different cultural backgrounds, united by a similar experience of arrival. In the end I programmed a couple of films that only included London marginally, because I felt that they fitted with this central aim so strongly. I've pasted the original poster with film details below. They're all wonderful films, accessible to anyone, and generally pretty easy to get hold of if you have the time to look around. I haven't written for a little while, but have been busily researching migration to better inform the work I'm making. I'm particularly interested in migration patterns that don't get a lot of attention either in contemporary art or in the press. One of those patterns is migration to rural areas. I've always felt that the popular narrative says that this migration involves seasonal labourers and is purely economic, those labourers moving on at the end of a harvest, and so not enough attention is paid to social and individual experiences. I also think the people who write about these issues in the press don't tend to live in productive rural environments, but rather in cities or satellite villages. Another pattern is migration that doesn't cross a political border. I always thought it was strange that, when I moved from the English side of the Scottish border to London (some 250 miles) I was not seen as a migrant, but a classmate who'd moved from Paris (200 miles) was seen as a migrant. We were both English-speaking, passport-holding EU citizens, and the only real cultural or social difference between us was that French was his first language and English his second, whilst my first was English and French was a very poor second. Half of France is closer to London than where I grew up, yet still most people didn't consider me a migrant. Thinking about these issues made me think immediately of Dr. Ben Rogaly, a geographer I was very fortunate to meet when working on a different project some years ago. 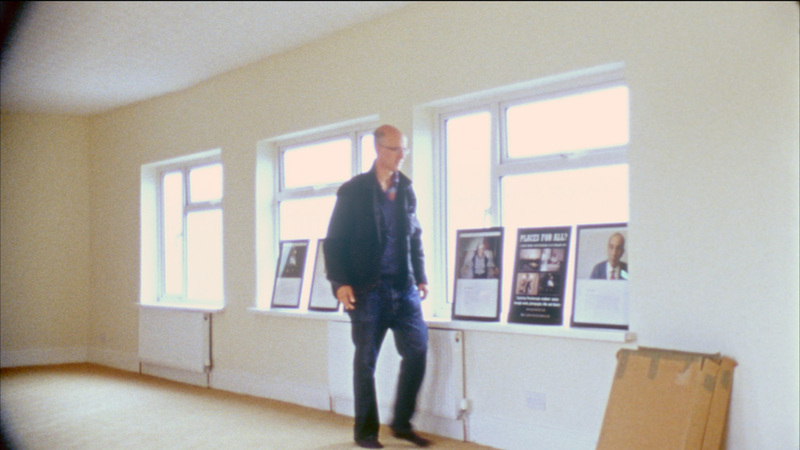 He has spent many years in Peterborough and rural Cambridgeshire, documenting and understanding the lives of people who have moved there and people who've lived in the same place their whole life. Ben is also highly switched on to the value of art and creativity in exploring place and identity, so generally a great person to talk to about the issues I've been thinking about. I thought I'd paste a few links to Ben's work - some of them are academic papers and not maybe for everyone, whilst others take the form of talks, blog posts and the like. I'm particularly pasting things where Ben makes the case for the social importance of documenting individual histories and memories. Ben held a meal for artists and food workers, so that people from those two backgrounds might meet, form friendships and make work together. The link just has a few photos, but I thought it was pretty cool. Visited the Museum of Oxford for the first time and saw the space (left) where the installation will be. Really great to meet Museum staff, who have been working for seven years to bring the stories of recent arrivals to Oxford to the Museum. I plan to use slightly unconventional means to involve recent migrants to Oxford, but staff have spent many months building up good relationships with local organisations who support migrants to the city, which will undoubtedly have a positive impact on the commission.